Check out this great video of the some of the trails on the Arapeen OHV Trail System. 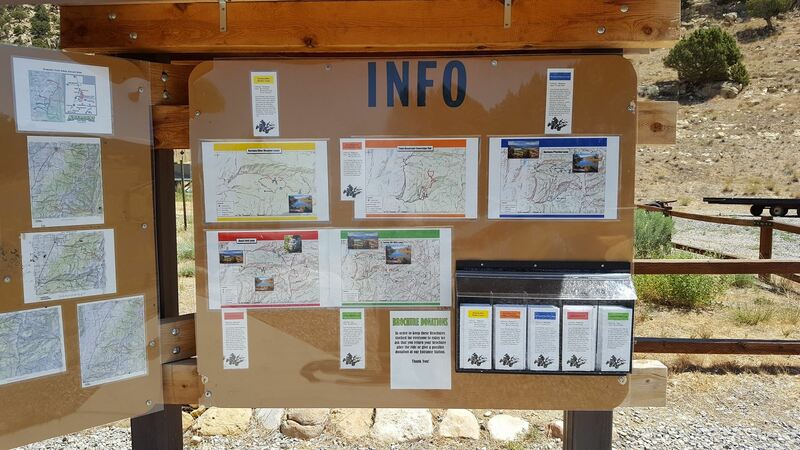 While visiting the park be sure to stop by our OHV Trail Information Kiosk. Located in the Gold Hill Groupsite. There you will find maps of the area and also maps of day trips that you can take straight from the park. 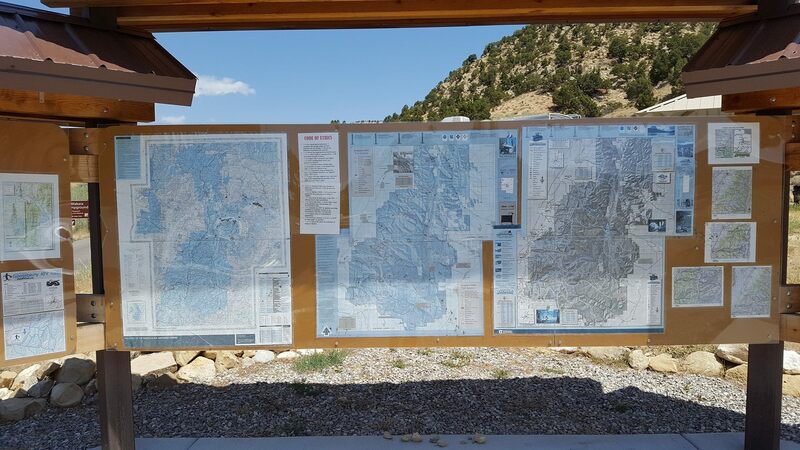 We also sale a waterproof/tear-proof map of the Arapeen Trail System. The maps are $10. If you forgot to bring your own or you need to rent an ATV or Side by Side while you are staying at the park, be sure to check out Skyline Recreation. They are located just down the road from the park in Sterling UT. Go to http://www.skylinerec.net/ or visit their Facebook page at https://www.facebook.com/skylinerecllc/ to get more information and to make a reservation. Arapeen OHV Trail System Map of the Manti La Sal Forrest Arapeen OHV Trail System. 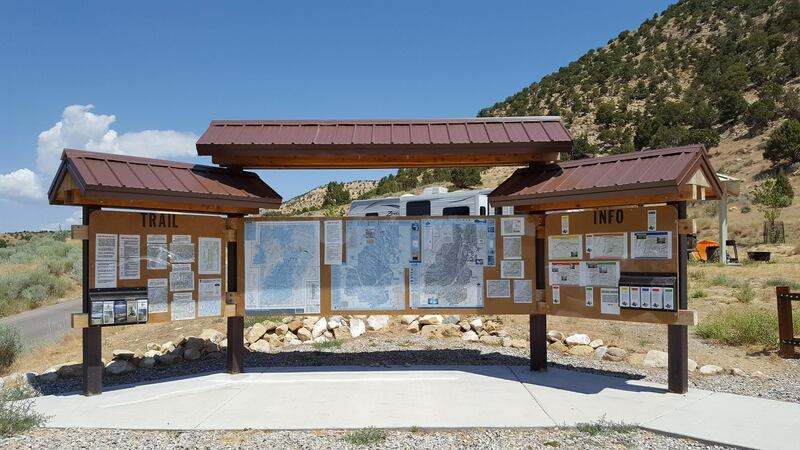 Map covers trails from Fairview to Mayfield including Sanpete and Emery counties. From Palisade State Park, this trail heads up 6-Mile Canyon to Skyline Drive. 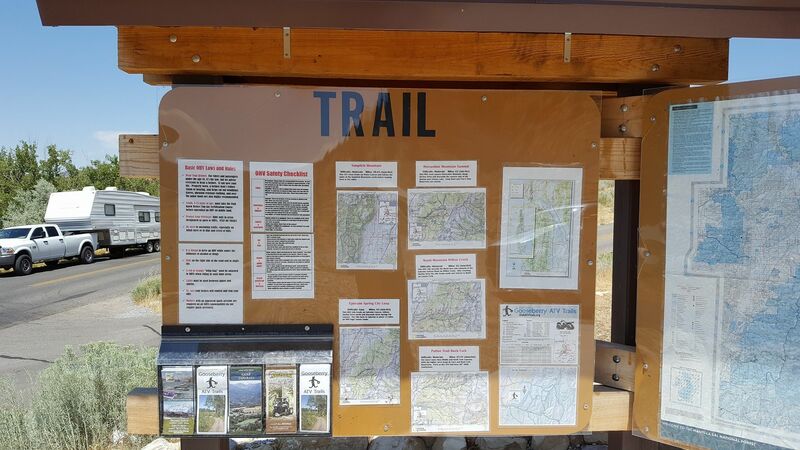 The trail then heads north and loops back to Sterling town via North Fork, Arapeen OHV Trail #38. The extended ride on this map has a 50″ width restriction- Arapeen Trail #72. This OHV ride heads up 6-Mile Canyon and loops around the south side of Heliotrope Mt. before passing Ferron Reservoir. At Skyline Drive the trail goes north and heads down Manti Canyon. This OHV trail heads up Funk Canyon and eventually connects to 12-Mile Canyon Road. The route loops back to Sterling via North Hollow and crosses 2 State Wildlife Management Areas. This loop ATV ride heads up the Beaver Creek Road and connects with Skyline Drive at Gunnison Valley. There are several lakes in the area if you like to fish. The route heads north and returns to Mayfield via 12-Mile Canyon Road. From Palisade State Park this trail goes up Six Mile Canyon where you have some options. You can do the Harmon/Six Mile Loop, Six Mile/Blue Meadow Loop or combine them however you would like. Harmon Trail does have some 50 inch restrictions. These options are good for a shorter ride. From Palisade State Park this trail goes to Mayfield and up 12 Mile Canyon, around Trail 7, and down Six Mile Canyon. All main roads make for an easy fun trip with lots of scenery. Once you are down Six Mile you can cut over to the Palisade Golf Course Look-Out point before heading back. From Palisade State Park this trail goes to Mayfield then up 12 Mile Canyon. There are several options you can take from here. You can do just the Town Reservoir Loop or keep going and add on the Loveridge Flat Loop. Trail #27 has a 50 inch restriction. From Palisade State Park this trail heads up 6 Mile Canyon to the Harmon Trail #36. This trail has a 50 inch restriction. Connect with 6 Mile again and loop around to the Pinchot Trail #2. This trail also has a 50 inch restriction. Connect to 12 Mile Canyon and head down to Mayfield. Use the wildlife management road to get back to Sterling. Either at the beginning or end of your trip you can go to the Palisade Golf Course Look-Out for a great view. From Palisade State Park head up 6 Mile and turn left to Manti. On the way you can stop at the Golf Course Look-Out Point for a great view. Head up Manti Canyon were you can also stop at Milky Falls. There are some 50 inch restrictions on #73 and #72 as you make the loop. Come down 6 Mile Canyon and go to Trail #39 and #38 then back to 6 Mile Canyon to finish.